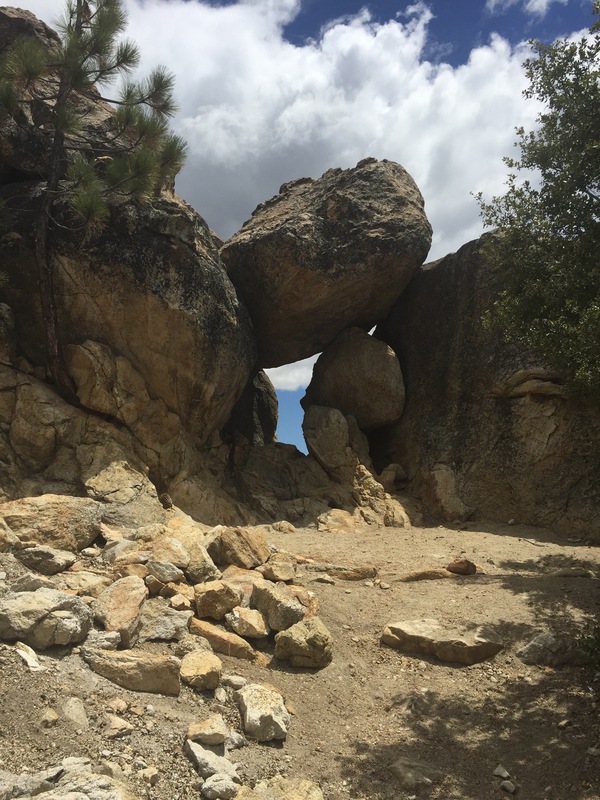 We woke up for day two of skirting around the PCT closure; today we chose to break from the official reroute which would involve a long road walk into Idyllwild, and follow Half-Mile’s suggested route. Half-Mile has produced a great set of annotated maps of the PCT and a great GPS trail app that we’ve been using. 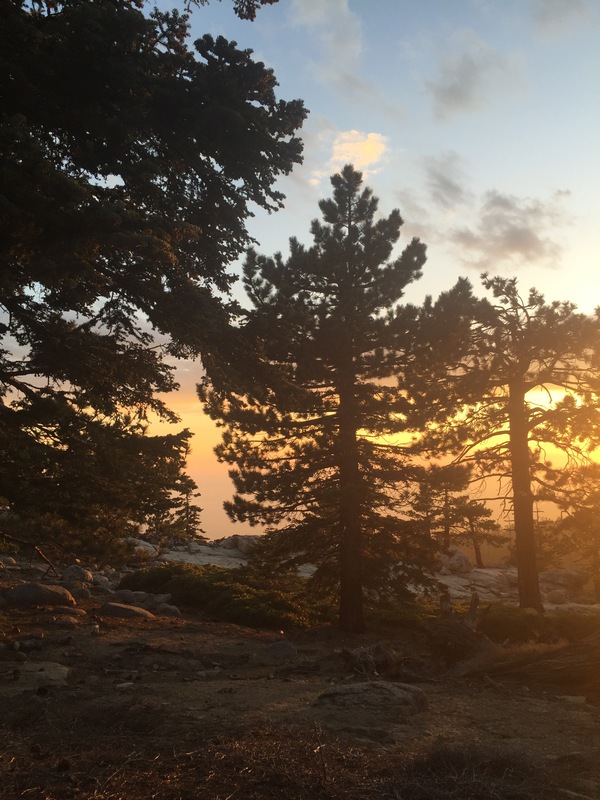 He suggested using hiking paths from our campground up to Tahquiz Peak, and the reconnecting with the PCT where it reopens. It was a long uphil trek to the top, which is over 8000ft, but well worth it! We made our way down, and made camp around PCT mile 183. It was a lovely spot, and a quiet end to a quiet day! Because most hikers don’t choose this route, we didn’t run into a single thru-hiker the first day, and only a few the second day! Normally we see 15-20 thru hikers a day. The next day we headed off the mountain. It was a long hike down, as we were dropping down if to the dessert. We transitioned from lush pine forests, back to the sandy scrubby foothills. 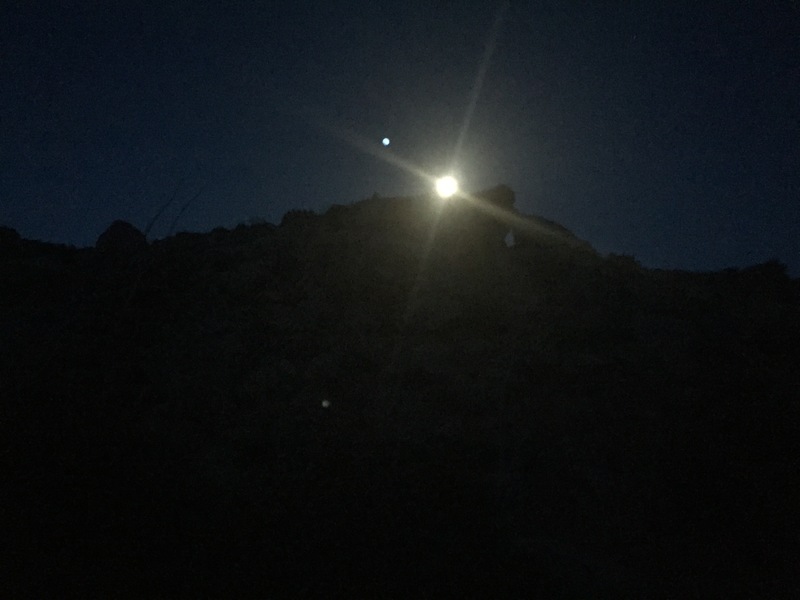 We made camp around boulders again, and rested our tired feet! That first picture of the rocks has an eye on the right side of the photo…have you noticed? Have you hiked the Appalachian trail? If so, how does it compare with the PCT? Garret hiked the AT in 2011. 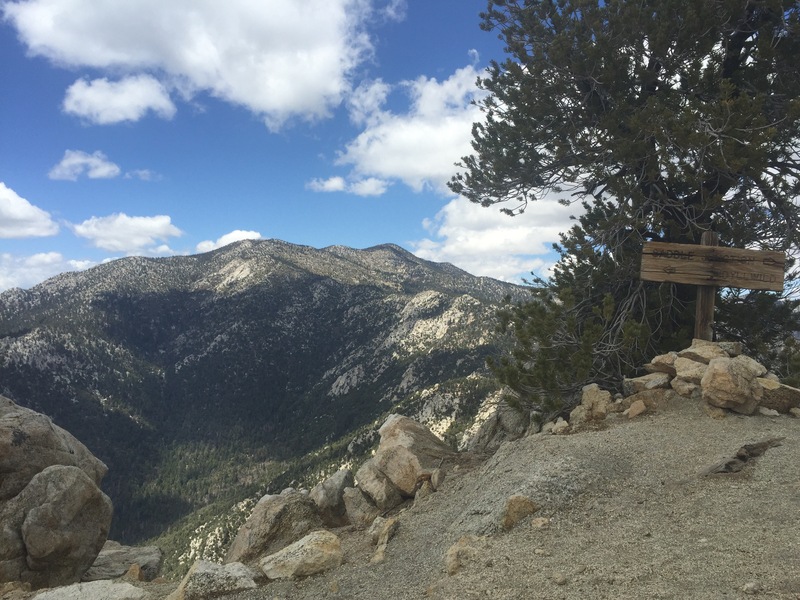 He says the PCT has more switchbacks (the AT has hardly any, the PCT is full of them) and less water (as in the PCG has hardly any water to swim in, and the AT has plenty). Thanks! I’m glad you like them, the iPhone does a decent job of capturing it all! Thanks, Laura! Hope that you and your family are well! Good spot, Mom! I think it looks like an elephant eye!